It has been a solid and creditable year for the yard, with a tally of 28 WINNERS and 98 places from 286 runners that have brought home over £263,000 in prize money. It is hard to pick out an individual star in 2018, so many of the string having excellent campaigns. 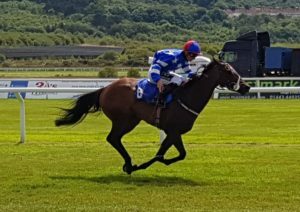 However, the undoubted highlight for everyone involved with the yard was getting a seventh and final win out of the very special MASTER CARPENTER at Goodwood in September. 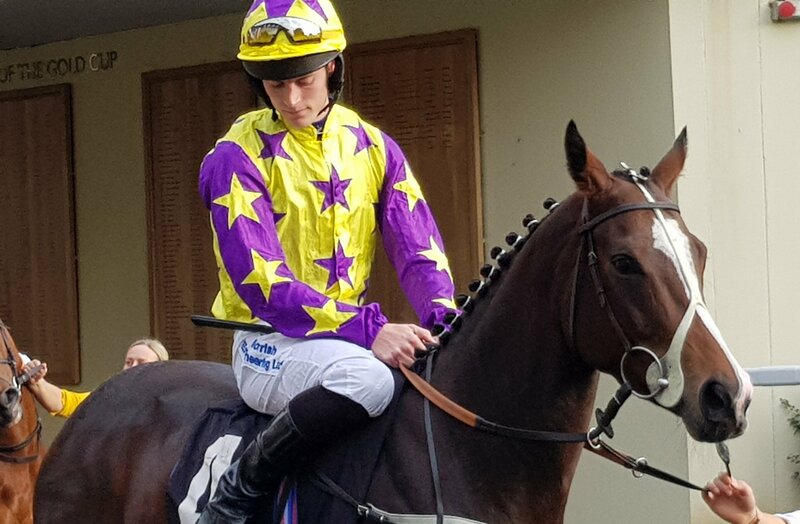 The seven-year-old has been the yard’s flagbearer for the last six seasons, the Saturday horse that every stable seeks and he has provided us all with a lot of fun along the way. After a career which saw SEVEN WINS, TWENTY PLACES and prize money totalling £280,000, he has been retired to stand at stud in Newmarket under the GG Bloodstock and Racing Banner. Obvious highlights were his wins in the £150,000 John Smiths Cup at York and his Group 3 Prix Daphins success at Chantilly and we hope owner breeders will support this tough and honest individual. We cannot wait to see some of his offspring on the track in 2022. Having started his season by landing a £25,000 handicap at Chelmsford in April, DUKE OF BRONTE ended up the highest rated horse in the yard, his mark rising to 104 on the back of his third in a Listed race at Goodwood. Sadly he picked up a leg injury shortly after finishing sixth to Melbourne Cup runner up Marmelo at York which was incredibly frustrating for all concerned. However, he remains a young horse and his half-sister Taws returned from a similar injury to perform right up to her best at six, so we hope he can fulfil all the potential we know he has. We had a quartet of handicappers record three wins this year, a notable achievement considering the nature of the British Handicapping system. It was particularly satisfying getting seven-year-old BIOTIC back into the winner’s enclosure, having gone nearly three years without a win. Successes at Leicester, Sandown and Salisbury saw him rise 19lb in the ratings. 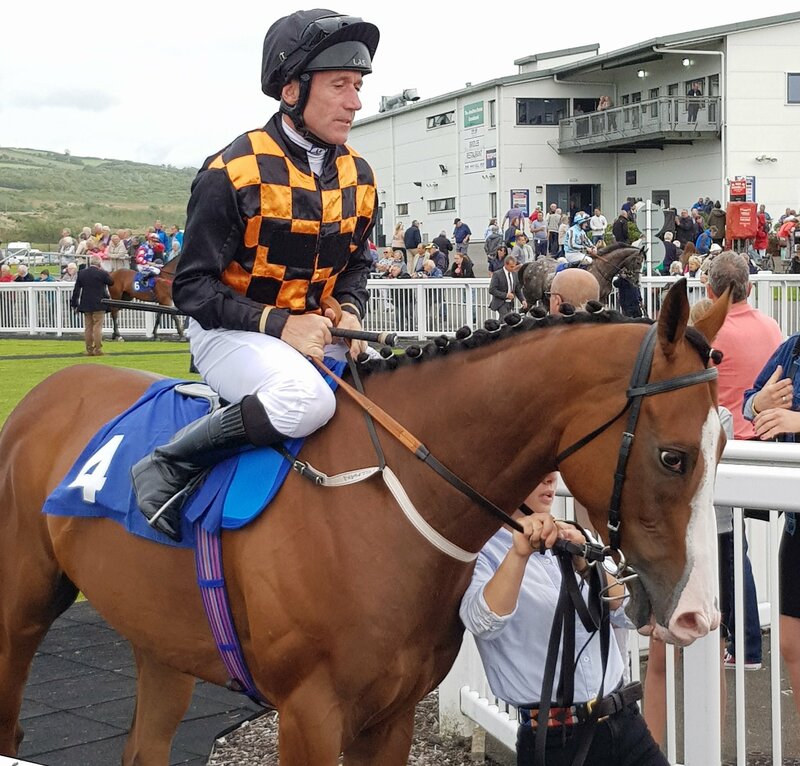 SWEET PURSUIT is not always the easiest filly to deal with, especially when it comes to the stalls but she recorded a Ffos Las hat-trick in mid-summer and was unlucky not to make it four. Three-year-old sprinter SPOT LITE progressed nicely from two to three, winning twice at Bath and once at Chelmsford and is the type to improve again next year. While two-year-old GREELEY really hit his stride once stepping up in trip to land a hat-trick of Nurseries at Leicester, Newmarket and Windsor in the summer. 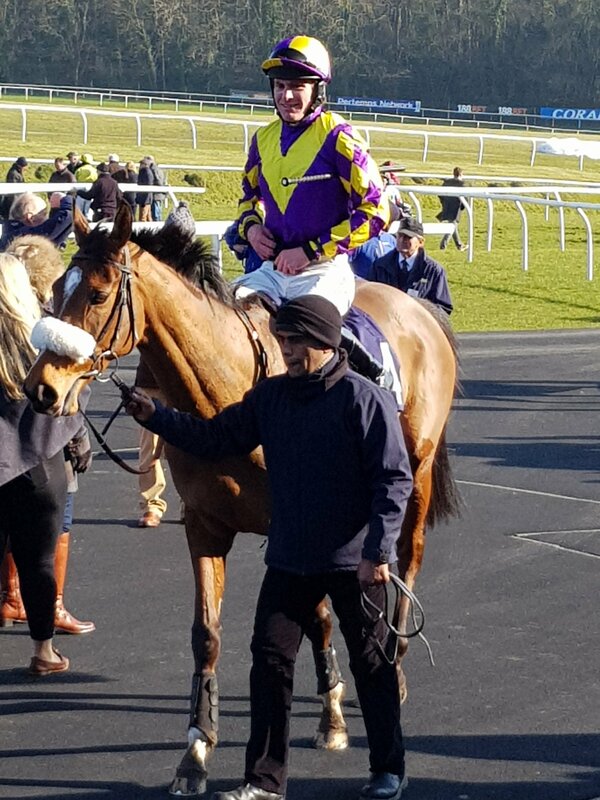 Smart Showcasing sprinter AIRSHOW also improved nicely from two to three, especially on the AW, rising 15lb in the ratings as he twice won impressively at Kempton and suffered two agonising short head defeats. He was sold at the end of the season and has joined Mick Appleby’s team. Our other dual winner was the incredibly tough four-year-old SIR PLATO, with his wins at Bath and Ffos Las taking his career tally to seven on the back of his five wins last season. There were plenty of horses competing for the title of the most consistent horse in 2018 but it might just have been landed by HAWRIDGE FLYER. The four-year-old son of Sir Percy joined the yard this season and he had three seconds, three thirds, a fourth and two fifths before getting off the mark at the tenth attempt when winning impressively at Newmarket in November, beating subsequent Greatwood Hurdle winner Nietzsche. Three-year-old filly CRYSTAL CASQUE wasn’t far behind in the consistency stakes, always giving her all as she had six places to add to her Salisbury success in August. Having won five times as a three-year-old and hitting a career high of 96, SIR RODERIC lost his way last year and it has taken a while to get him back but he found his level dropped back to sprinting and a win at Windsor was well deserved. GLORY OF PARIS showed he was particularly effective on the AW with a win at Chelmsford in March but didn’t get much luck thereafter, including when twice beaten a neck on the turf in the spring. He was also sold at the end of the year and has joined Mick Appleby. Three-year-old MASTER GREY showed there was plenty of potential over staying distances, winning at Salisbury in April and looks the type to improve from three to four as he goes over further. Another three-year-old RAGSTONE VIEW needed things to fall right but won very nicely at Newbury when they did and he has the potential to be better at four. 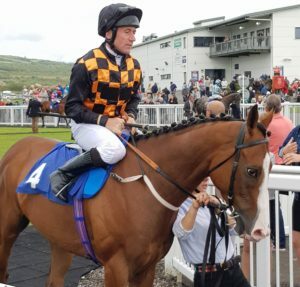 On the back of a busy two-year-old campaign, with a trio of wins to her name and a narrow fourth in a Listed race, it was always going to be tough for DADDIES GIRL at three but she performed above expectations by running some super races in defeat at Grade 1 tracks, picking up nearly £13,000 in place prize money and giving her owners plenty of fun. HANDYTALK did not have much luck with some narrow defeats, including at his beloved Epsom when second to subsequent Ayr Gold Cup dead heater Baron Bolt. LANGLAUF, who won three times for the yard back in 2017 did not quite get going in time when second on her final start before going to stud at Chelmsford back in February. RIO SANTOS picked up four places but was particularly unfortunate that Bath was shut down for most of the summer as he was certainly due a win there. 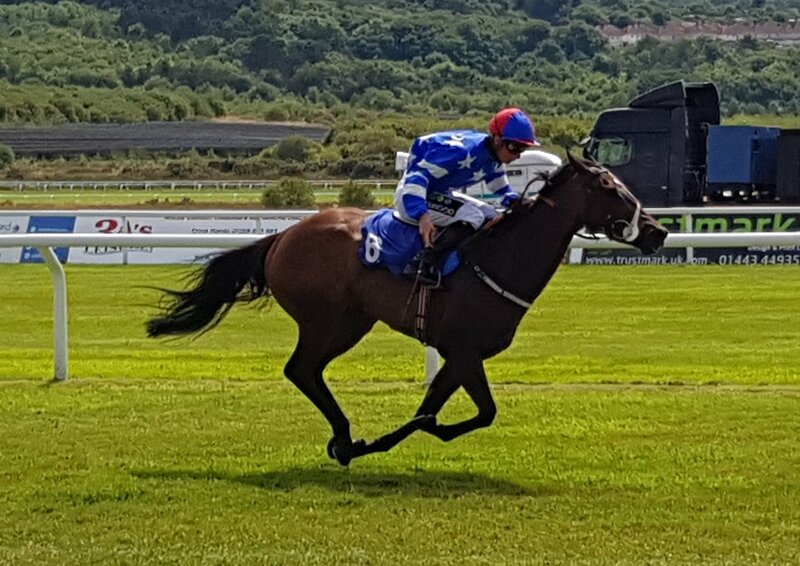 Both HAWRIDGE GLORY and LIVINSTONES QUEST rarely got their favoured soft ground throughout the dry summer but picked up six places between them before heading to the Horses In Training Sales. 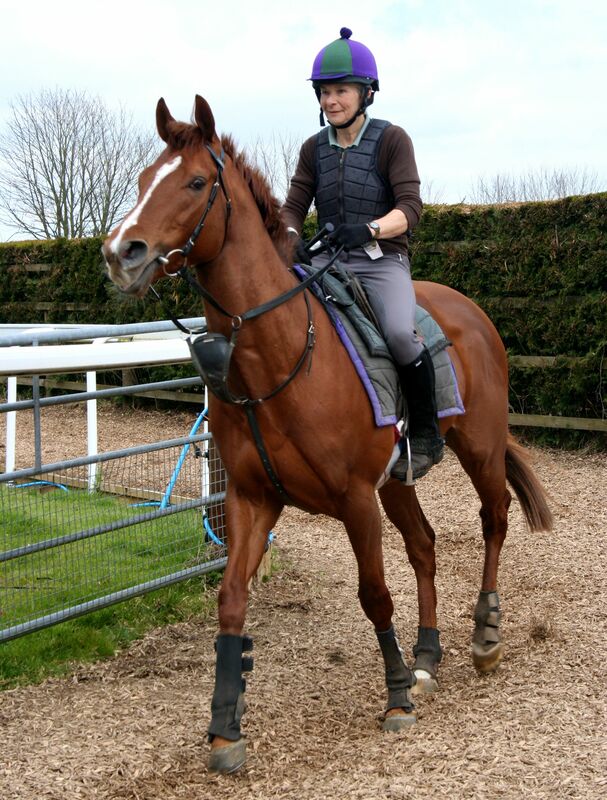 RED MIRACLE might have been our most frustrating horse of 2018, beaten a neck by Sir Mark Prescott’s Altra Vita (now rated 28lb higher) at Bath and then falling on her hurdles debut when set to run a big race at Stratford. 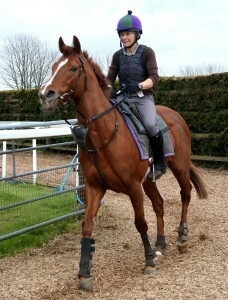 It was good to see her get back on track when third at Kempton last time. It was a good season with our juveniles, some of whom will provide the backbone for our future stars, and they provided six wins to our tally. While GREELEY won three, undoubtedly our toughest and most consistent two-year-old was homebred STEEVE. The son of Lethal Force won over 5f on his second start on heavy ground at Salisbury in April and ended his year with a nose defeat at Newmarket in October, picking up prize money on ten of his eleven starts. MAWDE proved extremely speedy and won at the third attempt at Bath in June but sadly picked up an injury when sixth at Windsor but will hopefully be back at three. Showcasing filly SUFFICIENT is blind in one eye which meant it took her a while to get the hang of racing but she was impressive when landing her nursery at Salisbury and should improve nicely from two to three. Both PRINCE OF HARTS and HAWRIDGE STORM showed plenty in their three qualifying runs to suggest that they will provide plenty of fun in 2019 and plenty of the other two-year-olds are open to improvement next year, including new addition to the yard COBWEB CATCHER, a half-brother to Sweet Pursuit. Over the jumps, five-time flat winner CHAMPAGNE CHAMP took to the hurdling sphere like a duck to water, winning on his second start at Chepstow and earning himself a rating of 130 when chasing home the highly regarded Chosen Path at Kempton next time. He will be keeping us busy over the winter and will be joined by a small string on the AW, including new horses to the yard like FRANK BRIDGE and SINGING THE BLUES, so hopefully we can get a few winners on the board before the turf season starts again in March 2019!